When Bridger Steel was initially presented with the Fine Homebuilding design, the immediate challenge was helping Atmosphere Design & Build choose a finish that would compliment the other visual aspects of the build while fitting seamlessly into the surrounding landscape. 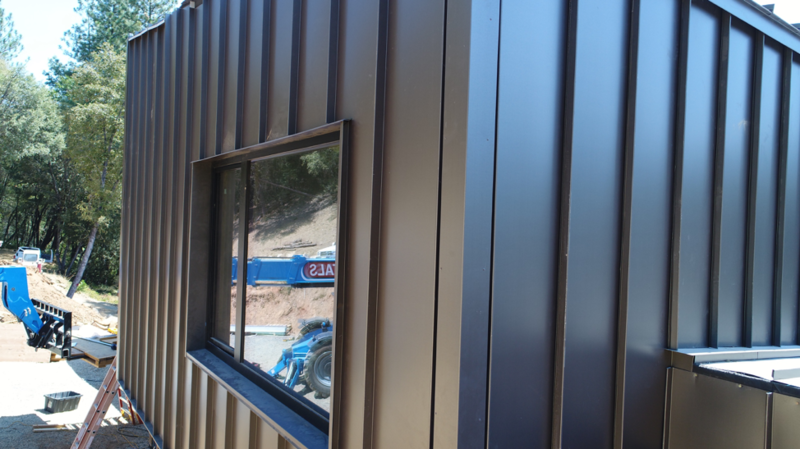 In addition to the aesthetic considerations, the right panel choice was needed to handle the weather conditions and provide the perfect look and performance both as a metal siding and roofing application. 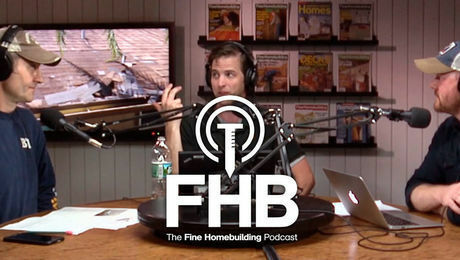 There were many discussions about how to accommodate the low sloped roof, changing environments of the area, and custom trim pieces that we knew would be required. 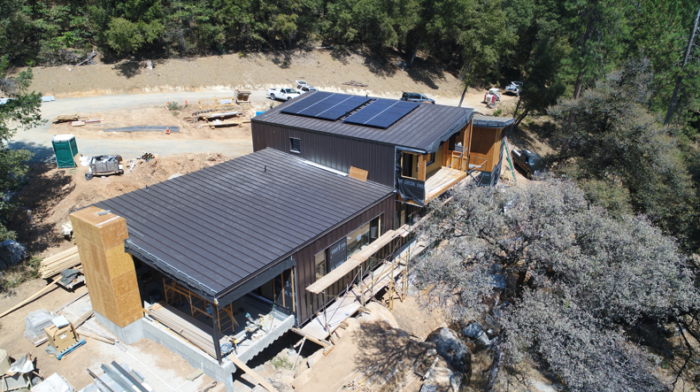 After looking at a range of options, the 1.75” Tru Snap standing seam panel system was chosen for its performance as a roofing panel, combined with its ability to work well as a siding option. The installers are using a nail flange and clip system to install the panel system. 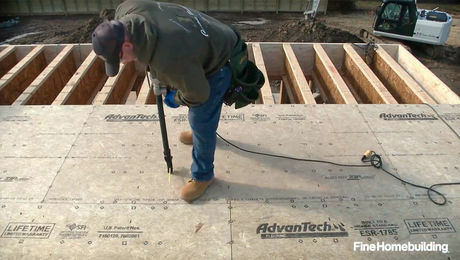 The clip is placed over the nail flange and attached directly to the deck. The next panel is placed over the top of the secured panel and with a firm press down, the panel will snap into place. With the taller rib height of the 1.75” Tru Snap panel we were able to accommodate the low slope of the roof while maintaining clean, matching lines from roof to wall. To create the smooth transition between roof and wall, it was imperative to carefully plan out the layout of the panels. Once a take-off of materials and flashing details was confirmed by the on-site team, the installation process began. The panels were secured one by one with a clip system that was placed over the nail flange and snapped into place. 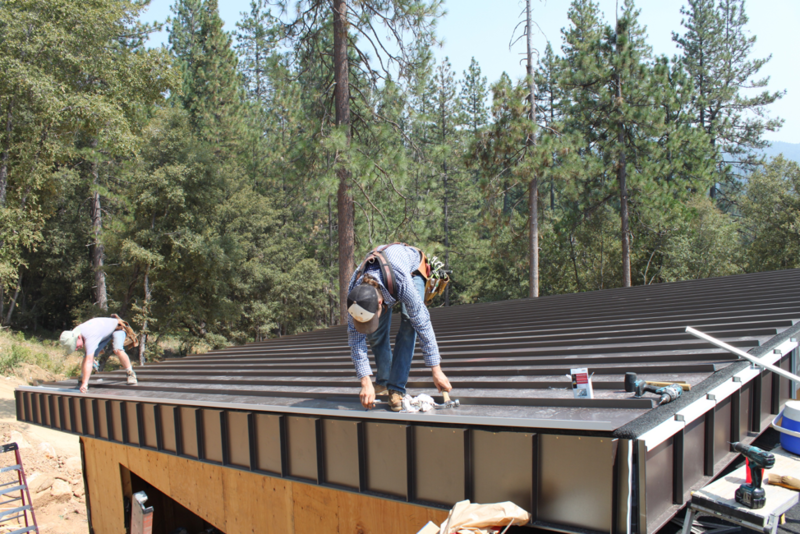 This ensured each panel was secure for the lifetime of the roof, while allowing expansion and contraction in the changing weather of the Sierra mountains. 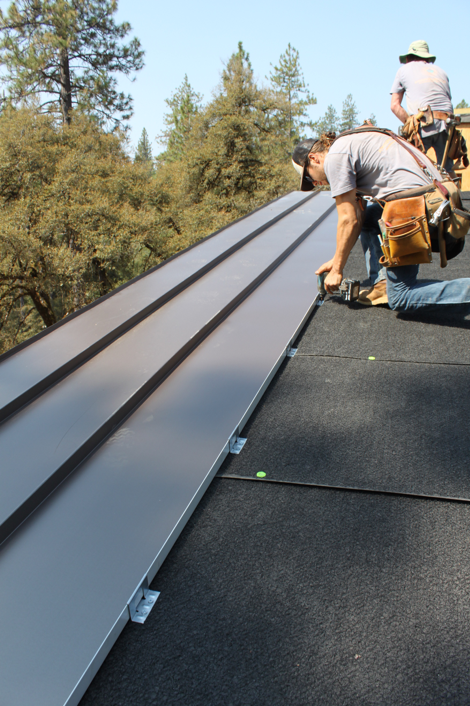 Solar panels can be attached to all our standing seam profiles. This system is attached with custom S-5 clips specifically designed for the 1.75” Tru Snap panel. A 24 gauge material was chose to ensure these panels would withstand the changing weather conditions of this area. To keep the home an extension of the environment, the Vintage finish by Steelscape was chosen. This dark gray finish helps the home blend into the surrounding mountains by accenting the pine trees and complimenting the other natural building materials of the home. The roof install is almost complete. Z metal has been cut and placed in between each rib at the ridge of the roof. The next step is to install the top cap and secure with rivets. This will be repeated for the gable end. One of the most exciting aspects of this home is the steps that have been taken to ensure its energy efficiency. With the standing seam roof, solar panels were able to be mounted with custom S-5 clips specifically designed for the 1.75” metal roofing panel. Custom steel jams were needed for the recessed windows and J Metal was double wrapped to keep the Vintage finish visible. 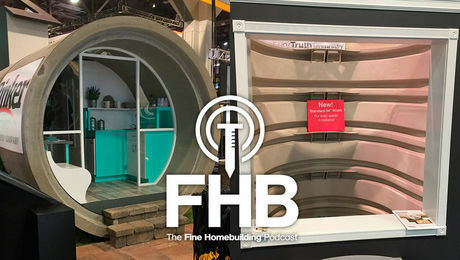 The Seamless corner was fastened with a custom trim peach and snapped into place and secured with concealed fasteners. When planning to install solar panels (via perpendicular rails typically) on standing seam roofs, I always double up the number of clips attaching the seams to the structure below in the area where the rails will attach and at the corners of the roof (which experience the most lift). Additional seam clips are a relatively cheap means of avoiding any problems. Also, a correction: adding solar panels is energy GENERATION, not energy efficiency! Please let your writer know the difference and we can correct the public understanding of efficiency (or lack therof).Thanks!